What matters most isn’t about “us”… it’s about you. 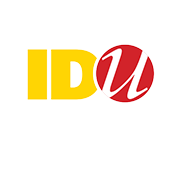 As a complete creative services provider, IDU Creative is here to help you find and implement the best solutions for your brand, your strategy, your deadlines, and of course, your budget. That’s why our mission is about you. Develop and transform your core marketing messages into pixel-perfect persuasion. We provide the creative services and support you need to succeed. Quality — we adhere to the highest standards of creativity and graphic design. Personal service — we respect your business needs and management style. Value — we provide “outside expertise” at “in-house prices,” so you get more for your budget. We are serious about our promise to provide the very best quality design, service and value to our clients. Ultimately, we’re not satisfied until you are. Hear what IDU Creative clients have to say. For more than 20 years, we’ve been committed to excellence in design and customer service — as the testimonials from our clients prove. IDU provides outstanding creative services — no matter where you are. We serve the Rochester, NY area and beyond. Our headquarters are located in the high-tech hub of Rochester, NY USA — and we work with clients oceans apart around the world. IDU Creative is proud to be part of the Rochester professional community, which includes the Rochester Institute of Technology, and entrepreneurial programs such as High Tech Rochester. We’ve provided many start-ups and high-tech firms with outstanding design services over the years. And we’re fortunate to work in a place that drives us to keep up with the latest trends in design, marketing, and communication — and where innovation is the norm. 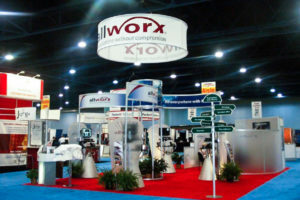 A trade show can be a voracious money pit, swallowing entire budgets in a single gulp. Or it can be a miraculous money machine, generating revenues long after the event is over, through leads, publicity, awards and market awareness. 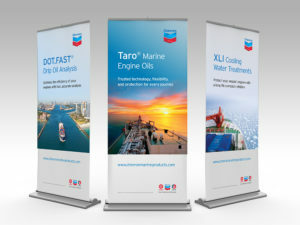 All it takes is an amazing booth design that draws traffic from every direction.